We love these "bridge" type toys because they have a nickel plated quick link on both ends giving you many more options on how you want to hang the toy. 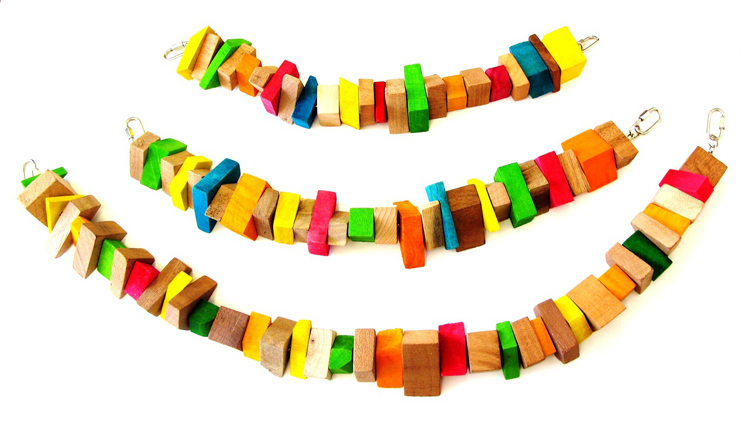 Many different shapes of natural wood are strung on a nickel plated welded chain so it's more durable for even the busiest of beaks in your house! If your bird prefers "natural," then check out Ringtail. Busy Beaks are Happy Beaks™!